I realized the other day why I am having such a struggle writing this book on the violence of God in the Old Testament. The reason is because the process of grappling with this issue is requiring me to rethink, rewrite, and redo nearly all of my theology. I feel like I am starting all over from the very beginning. Theology Proper – this one is a given. I am trying to write about God, after all. Pneumatology – My study of inspiration led me to look deeper into the Spirit’s role in the world and throughout history, especially as a revealer of truth. Soteriology – If God is nonviolent, then what does this say about the violence within the penal substitutionary view of the atonement? Also, what about the eternal violence of hell? I am grappling with both these issues. Ecclesiology – If God is not violent, then what does this mean for the church’s place in the world, especially regarding war and patriotism? Also, what does it mean to follow Jesus nonviolently? Eschatology – Not only do I have to rethink hell (mentioned above), but all my beliefs about the End Times as well. If God is non violent, will the Second Coming of Jesus truly be with violence? Anthropology – My study of nonviolence has required me to realize that if violence does not come at the command of God, then it must come from the heart of man. This raises serious questions about the condition of humanity in general. Angelology – The study of violence has led into deep reading and thinking about the dominions, powers, and authorities of this world, and how these things are related to the destroyer, satan, and demons, and violence in general. This is why I feel so overwhelmed all the time with this project! It often feels like the ground has opened up beneath me, like all my reading, study, and learning up to this point has been for nothing, and that I am beginning all over again. So thanks for being patient with me as I “think out loud” on this blog, and as my writing projects get posted in bits and pieces, and as some posts seem to contradict something I wrote earlier. We’re all thinking about this together, and I appreciate your input and you being willing to walk with me through these questions! Even those of us who haven’t got a degree in theology have been rethinking and learning to love without the restraints of a permanent set in stone theology and are becoming something new. I know that by looking into ALL the different versions of conservative and liberal theology that I’ve been changed. That and having an indwelling Lord pointing out the path that I need to go had made me leave Institutional thinking and living. I do like exploring the beginnings of each church movement though. Rediscovering my Methodist roots and the stories of the Wesley brothers and sister really show how far off movements become once they get too big. Yes, it is quite a journey, isn’t it? Fun, exciting, and sometimes exhausting. But never boring! Are you Methodist? I just finished reading Making Sense of the Bible by Adam Hamilton. Great book! I’ve been trying to figure out why you are struggling with this so much and have followed every blog post you have put up. I really don’t have a problem with it. Jesus said he didn’t come to bring peace but to divide. I was just discussing Gods command to kill the Canaanites. It was very simple for me to wrap my head around. They where the equivalent of modern day terrorists and would not stop killing so the best thing to do was wipe the slate clean. Even the NT is full of violence in Revelation. Does that mean God doesn’t love everyone? I’m not trying to be a troll on this just throwing out my thoughts. Glad to read your posts every day dude. Well, I will write about that statement by Jesus in a future post. And the book of Revelation. I think we have misunderstood both. View the Canaanite conquest from the perspective of the Canaanites for a moment. Don’t you think the invading Israelite army was actually viewed as the terrorists? I am experiencing exactly the same thing! Once an area of theology changes…every other area is affected. Sometimes it leaves me very anxious …sometimes I am filled with joy. It has been a roller coaster for me the past several months as I have questioned everything I have ever been taught. I am still in process…never know one day to the next if it will be an up day or a down day. When the heart leads the head (instead of the inverse) your world paradigms shift 180 degrees. The process is frightening and yet exhilarating at the same time, but deep down you know truth in a way that the mind cannot engage. Seems to me the truth that sets one free has less to do with the mind and more to do with the heart. Enjoy the journey. Like others, I’m watching to see how this develops. I don’t have a problem with the so-called violence of God, but in even approaching it that way, with that terminology, we’re approaching it from the wrong direction. On the inerrancy issue, I found this paper to be really useful: http://www.cresourcei.org/inerrant.html. I appreciate your open and honest sharing in attempting to address a difficult subject. More than once I’ve found that as I’ve sought understanding about something Father brought clarity by shifting my focus to a different perspective. 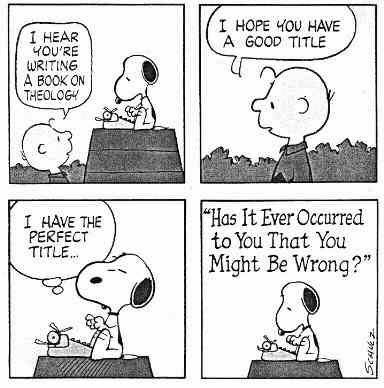 With that in mind I think it may help you to read The Mystery of Iniquity in Garrison Russell’s book SONPLACING ( http://www.sonplace.com/sonplacing/sp_chp7.htm) and Preston Eby’s Savior of the World (http://www.kingdombiblestudies.org/savior/SOW1.htm). Thanks for the links. I will check them out. This is how I see it–correct me if you feel I missed something or if you have already covered this. Now ,if a man decides he is going to start killing people and moves forward with that thought and commits murder after murder-is it not the duty of a just and loving God to protect those people who cry out to him for help from this evil man? Is it not right to end this man’s life so that others are not innocently killed? Is counter-violence for the sake of self-defense not justified in a case like this? These are good questions. I would say that God cannot stop people from using their free will in a way that is contrary to his wishes and still allow free will to be free. And regarding violence, I would say (in theory anyway) that violence never leads to true peace, but only to more violence. In the psst I wondered why some people need a religious system that has all the answers. It tells its followers exactly what the Bible says (the system’s interpretation), exactly what they should think on all issues (cultural, political, ethical and so on), and exactly how they should behave. I had difficulty understanding why anyone would want to be part of such a system. Gradually I came to understand that such a system provides a great deal of security for its adherents. In such a system one knows exactly where one stands. Either one is coloring inside the lines or not. Examining one’s beliefs/theology can be a terrifying process for some. One small hole in the dike may result in disaster, or so the thinking goes. Put another way, if one feels the solid ground beneath them/the system they adhere to begin to slip, will a free fall soon follow? I think of it as free flight. I know where I will land. It will look different than where I am today, but nevertheless shall be good, very good. May it be so for you. Yes, over the past 7 years or so as some of the foundational beliefs of my theological system have toppled, I can say it is extremely disconcerting. I guess I will try to view it as you say … as free flight. That makes it sound more like an adventure. It’s a privilege to follow the thoughts of someone who doesn’t believe they have all the answers. Somehow that makes it more authentic. It is a privilege to think through these issues with others who are not afraid of hard questions and uncertainty. I have found the process of reconciling my beliefs with my faith to be an ongoing process of depending upon God’s ability to communicate adequately through his word and the Word. When I discovered beliefs were not synonymous with faith, albeit necessary and prerequisite belief is, I was able to better submit to being conformed into his image. My view of Theology changed, partly due to digging into C.S.Lewis, Karl Barth, John Owens, et al. It is knowledge of God, not the ideas of humans about God. 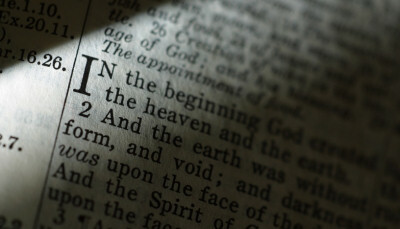 In John17 Jesus confirms knowlege of God is eternal life. This said, it is impossible to have knowledge without processing and dialogue within the Body. Let us recall that doctrine is a subset under the rubric of Theology. I am convinced the renewing of our mind continues even into eternity, as he is infinite yet we are finite. Thanks be to God, and to all who are building and being built into to the full measure of spiritual adulthood belonging to our great God and Savior. Thanks, Gregory. Lewis has been influential to me as well, and I intend to start reading a lot of Barth. Hopefully I find some help from his ideas as well. Have you read Thom Stark? His reply to Paul Copan is free online, also see his book, the human faces of god. Yes, it’s a challenging book. It’s one of the books that caused me to start looking into this subject more seriously.